Dreamix delivered Business Processes Workflow System project, that is responsible for the correct execution of internal processes within a large international organization. The introduction of the system made positive impact around all departments and changed the way how the entire enterprise collaborates in order to meet the business needs. The project was delivered on several stages, starting from requirements elicitation, business processes documentation, implementation, go live. The requirements ellicitation started with business overview and user interviews. Together with the local team we identified the key business processes that needed to be streamlined and digitalized. Next step was to document the business processes and validate them with the key users in the organization. The output was BPMN diagrams that followed the correct business flow and were ready to be converted to executable software system. Our IT experts then analyzed the leading BPM IT solitions on the market and were choosing between Oracle SOA Suite and IBM BPM. After evaluation with the customer, we decided that Oracle SOA Suite and BPM provide more features and really integrated and consistent approach for building BPM workflow systems. Moreover it provides a solid SOA (Service Orinted Architecture) framework, that enables fluent integration with all other system used within the organization. After 3 months of work the first process was implemented, fully tested and ready to go to production. 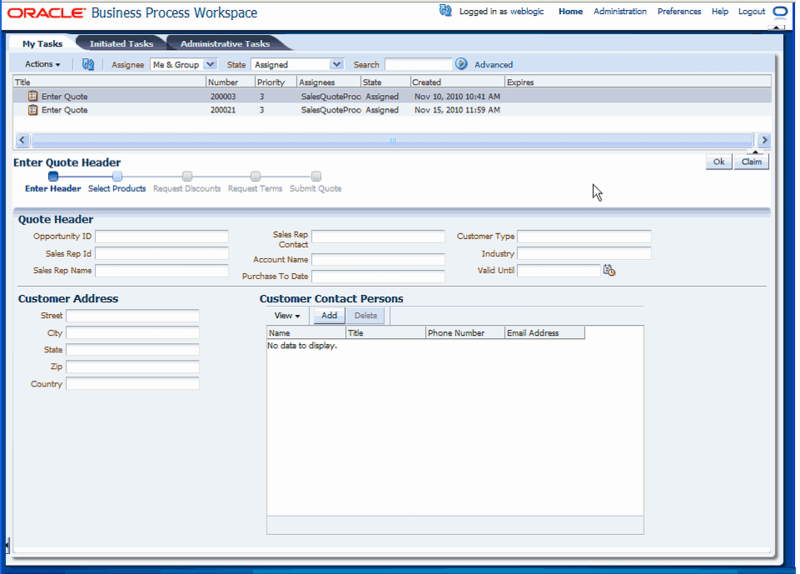 All company users have a single BPM portal called “Workspace”, where they received their ongoing tasks, worked over them, provided input and either complete the tasks or assign them to other users. What do you think? Would you approach this case differently?